Le 15 Patisserie: Cupcake and French Cooking Classes! Cupcake and French Cooking Classes! 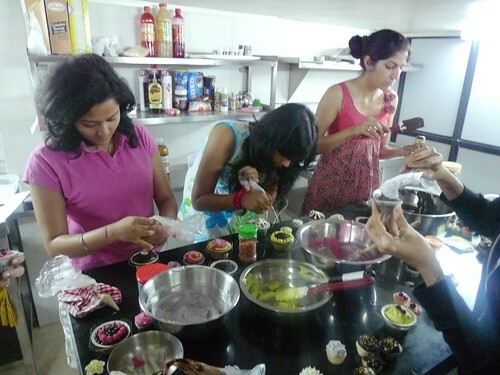 With the overwhelming success of the International Week, we are all set to conduct cooking and baking classes every week on Sundays and Mondays. For those that missed the classes, we’re going to do another round of the same recipe for you! Make sure to be there a little before time so you can register and settle in. Leave a comment here, or email us on [email protected] to reserve your spot! just wondering if you will have another cupcake class since i can't make the one today on the 14th. thanks! Hi whens the next cupcake class? Hello... I know you already held classes for cupcakes... But is there a possibility of having another round of these...I really hope you can have these and also may be include the french macarons..